April 2018 was another active month for real estate along Scenic Highway 30A with 100 combined closings for single family homes and condominiums. 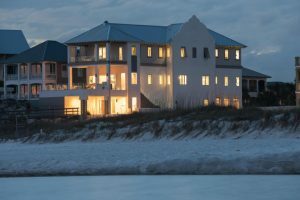 WaterColor remained the top selling community for single family homes while the most condos sold were at The Village of South Walton in Seacrest. Berkshire Hathaway HomeServices Beach Properties of Florida began the second quarter of the year with a hugely successful month in the 30A Beaches market leading in both total sales volume and number of transaction sides. *Market data for 4/1/18 to 4/30/18 as of 5/01/2018. Information reported is deemed reliable but is not guaranteed. © 2017 MLS and FBS.